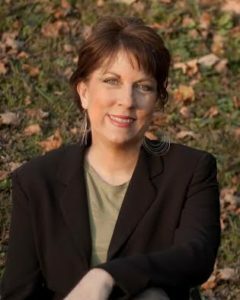 MEET OUR AGENTS | AmeriKey Realty, Inc.
Broker/Owner of AmeriKey Realty, Inc.
As Broker/Owner of AmeriKey Realty, Inc. Barbara is passionate about her work and believes in Nashville. A former joint owner of a larger merchant brokerage company she understands the benefit and value of a smaller environment to provide hands on service and availability to her clients. Barbara’s background includes all facets of real estate and she remains dedicated to “taking to heart” each and every homeowner. She enjoys living in the urban downtown 12South district of Nashville and is very familiar with all surrounding neighborhoods and areas. Barbara has helped hundreds of families sell their home, buy their home, build their home, and even save their home during hard times. Her background in residential new construction and condo/town home development also helps her to appreciate the vibrant growth currently being seen in Nashville. Barbara most enjoys the outdoors, interesting reading, traveling, and spending time with her family and friends.A proven leader in all she does, Barbara chooses to navigate obstacles and embrace challenge. Believing in today’s changing marketplace it is vital to diversify, stay informed and give back. Dedicated to helping home buyers, sellers, investors, lenders and more, Barbara Adams and AMERIKEY REALTY believes that each and every homeowner, homebuyer, and home is special and unique in character and is dedicated to the promise of this belief. AMERIKEY REALTY’s primary interest lies in the greater Nashville area, to include most all metropolitan surrounding counties. Our greatest accomplishment is a satisfied client.